Calling all thrill seekers! “Walk on the wild side,” and rappel down Hawai‘i’s hidden canyons and waterfalls. The adrenaline rush and amazing views are well worth the descent. Ready to launch? A great place to start is RAPPEL MAUI’S CANYON RAPPELLING ADVENTURE TOUR. After a 60-FOOT RAPPEL DOWN THE SIDE OF THE CLIFF, scale straight down a 50-foot waterfall, then a 30-foot tall fall, before you swim to the finish line. While this activity is a little extreme, this alternative to ziplining is safe and fun! 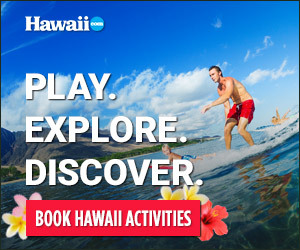 One of Maui’s most unique tours, cruise down jungle cliffs and natural waterfalls, and enjoy the wonder and beauty of Hawai‘i’s rainforest at some of the remote places on Maui. Rappel Maui provides all the gear—ropes, vehicles, transportation, footwear and instruction—for your canyoneering adventure. Lunch, bottled water and fresh fruit are also provided. Three rappels down a rainforest canyon, and you’ll be hooked— literally! Find Rappel Maui 365 days a year in Haiku-Pauwela. To learn more about the JURASSIC PARK SITES you’ll see on your adventure, visit rappelmaui.com.